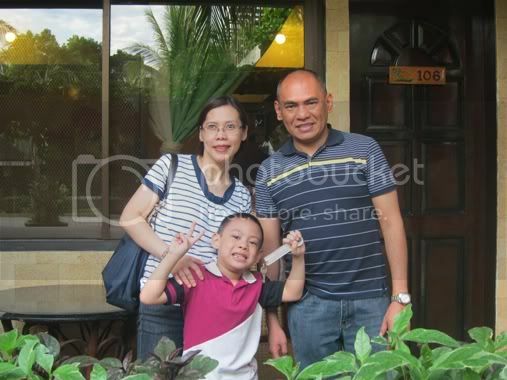 As an advance birthday gift to our son, my husband booked us on a flight to Bohol last May. We’re scheduled to leave Manila on June 2 and go back on June 6. We left Manila last Saturday and arrived in Bohol at 2:30pm. 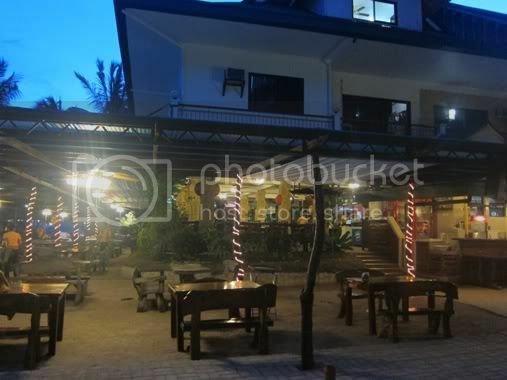 We were picked up by a van and dropped off at our destination: Dumaluan Beach Resort in Panglao, Bohol. We had a smooth and comfortable ride, thanks to our hired van’s rancho rs5000 series shock absorber. We left the resort at noon today. We were assigned to Room 106. 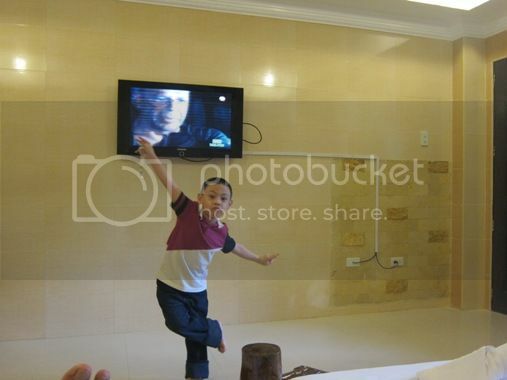 This is an Executive Family room which costs Php4,500.00 per night. 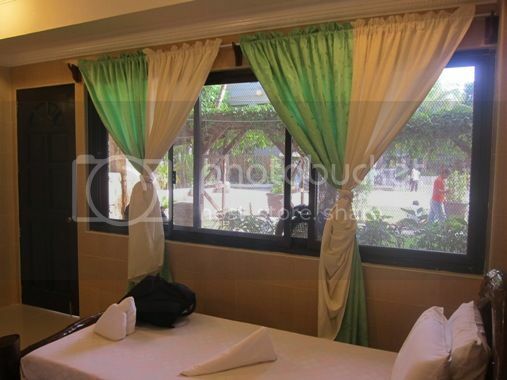 Executive Family has water heater, air conditioner, refrigerator, cable TV and a bathroom. 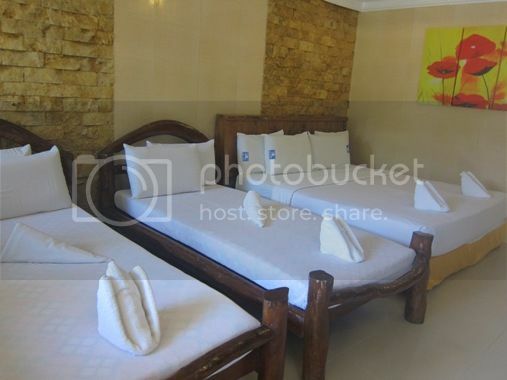 This room, which is good for four persons, has three beds (one queen-sized bed and two single beds). 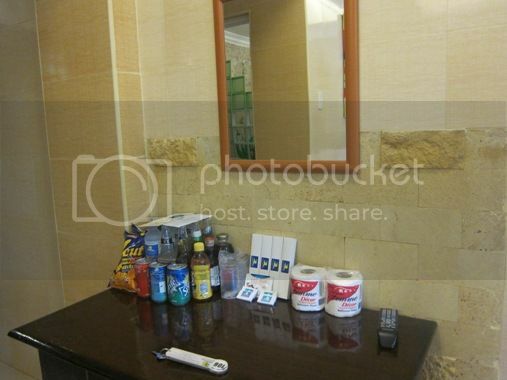 This accommodation also comes with free buffet breakfast for four. We felt really at ease in this modern-looking room. Even my son was able to sleep soundly here. The room needs repainting, though, especially the ceiling. 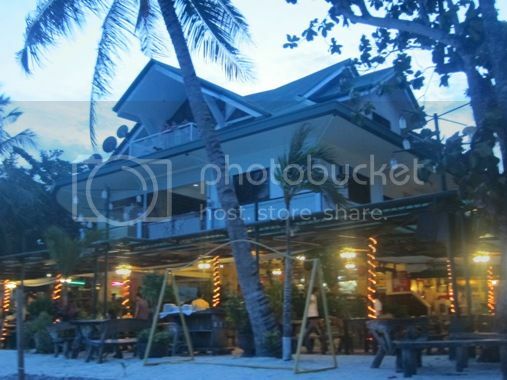 When we’re hungry, we’d always go to Dumaluan Beach Resort’s Kan-anan Bar & Restaurant. What we loved about this dining place is it’s so alive, especially at night. Guests enjoy various cuisines here and soothing music performed by their own band. See my reviews of the foods we ordered at this restaurant in my food blog Delight My Appetite. 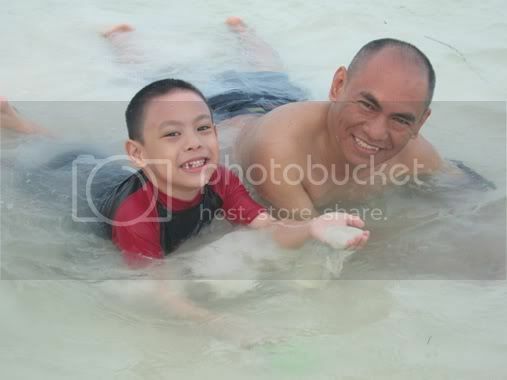 What we liked about the beach is its fine, white sand. Our son loved playing with it! What we didn’t like is there are parts of the beach that are rocky, so we had to move a little farther away from the resort to find a better place to swim. There is a kiddie pool and an adult pool. We liked the warm water of their pools. It made us stay longer here even if it started raining. However, it’s windy when we dipped in the pool, and because of this, there were lots of leaves in the water, which affected the overall appeal of the pools. I guess it really couldn’t be helped, especially now that rainy days are here. In fairness to Dumaluan Beach Resort, there was someone getting out all these stuff from the pool while the guests were swimming. 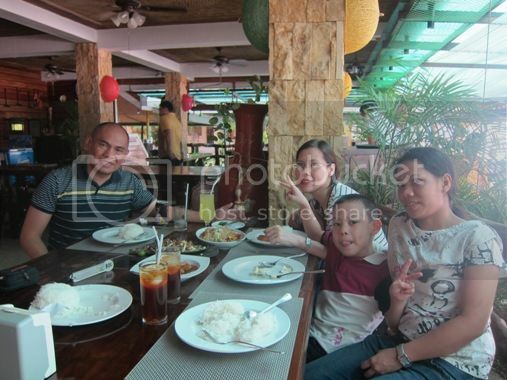 The staff and crew of Dumaluan Beach Resort were very courteous and helpful. They also had ready smiles for the guests. Their happy countenance will make you feel at home when you’re staying in this resort. 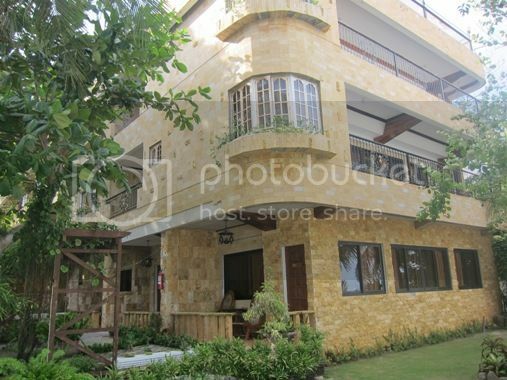 Dumaluan Beach Resort is a very nice place to stay when you’re in Panglao, Bohol. We highly recommend it for mid-budget vacationers. 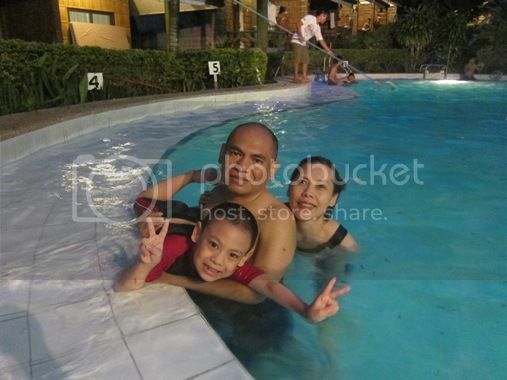 This entry was posted in Dumaluan Beach Resort. Bookmark the permalink. 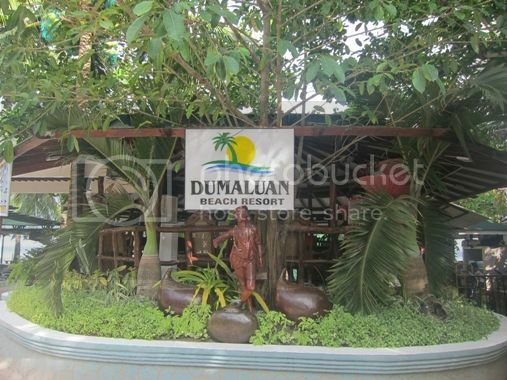 Dumaluan Beach Resort has been one of the premiere resorts in Bohol frequented by both international and Filipino tourists. Hey great review! 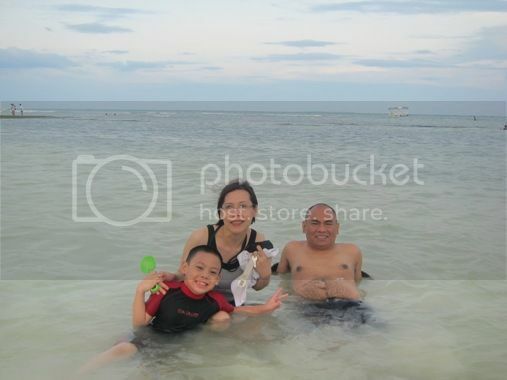 We thought it was a fair and very informative review of Dumaluan Beach. We decided to share it on our company blog Bohol Gateway. Thanks for a great post! Keep it up! ← Loving Our Sony Bravia LED Smart TV!